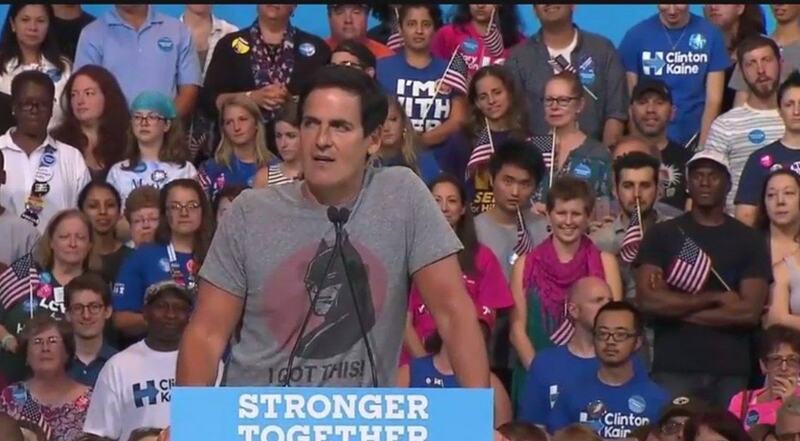 Mark Cuban put on a ridiculous display this week when he went on Twitter and accidentally defended Donald Trump. The series of strange revelation started when he tweeted out….. He then followed this by tweeting 12 points/tweets that supposedly represented “his take” on the Russia Trump scandal. This theory is basically one big fabricated story that allows him to use Russia as an explanation to why Hillary Clinton lost the election. Mark Cuban has no clue what he is talking about. This is a man with no credibility or intelligence. I mean this is a man who literally volunteered to run as both Trump’s and Hillary Clinton’s vice president. Neither took him up on the offer. This rambling and conspiracy rubbish really shows and proves why the Democrats keep on losing supporters.